Atlas Copco is worldwide market leader in the area of industrial productivity solutions. The company strives after a uniform image of their spare parts worlwide, without doing harm to the quality. At first Atlas Copco is going to roll out this uniform image to the big distribution centres in Belgium, USA and China. But, in a later stage, also to the local, regional service centres. The main problem in this “Packaging Alignment Worldwide” project has to do with limitations in the current packing instructions, the initiation of those and the communication around them. Atlas Copco Service Center experiences difficulty in communicating packing instruction with sufficient level of detail to other distribution centres, the external packaging partner (ACG) and suppliers, in order to be able to secure a good packaging policy. A big challenge is to implement this without making manual instructions for everything. This is labour intensive and therefore costly. 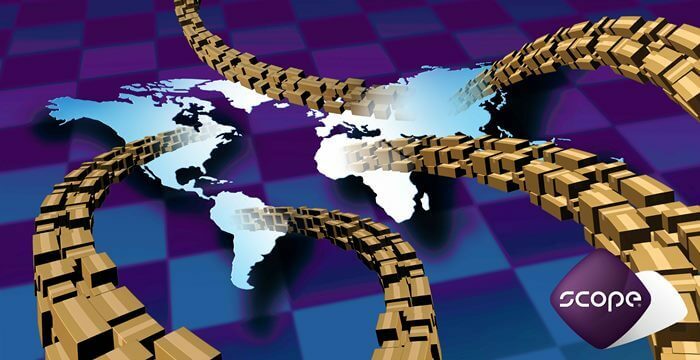 Detailed control of the supply chain and all distribution centres worldwide. Reduction of the dependency of individual judgments regarding the choice of spare part packaging. Improving the uniform image of products and packaging at customers. FPC beyond packaging has run a Scope analysis regarding the implementation of PackAssist for the spare parts department of Atlas Copco Airpower in Antwerp. Reason for this is that after a short demonstration Atlas Copco was convinced that this application matches their needs perfectly. In the Scope analysis FPC determines how the supply chain at Atlas Copco is constructed, how the master data management is done, how the packaging policy looks and which packaging, attention points and variations are part of this policy. Within 1,5 day FPC executed a quick scan at two external parties (Katoen Natie & ACG), the internal packing department and the kitting department. Part of this quick scan are interviews with stakeholders and evaluation of packing instructions. On this basis FPC delivered a report with recommendations about how PackAssist can be used in the most efficient way and at the same time fits in the current policy. Next to this the report gives insight in how implementation will be done by using a scenarioplanning and what the costs of implementation are. Moreover, from the quick scan FPC was able to draw the conclusion that applying the packing algorithm of PackAssist could lead to a 15% spare parts packaging volume reduction. The results mentioned above are very interesting for Atlas Copco. Next step is that they will visit a current customer of FPC to have look at how they use PackAssist. On this basis Atlas Copco will decide which scenario they will initiate. 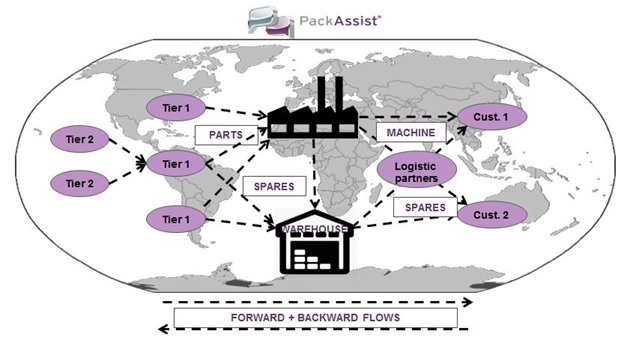 Would you also like to know what PackAssist can do for you? Contact us for a non-binding PackAssist demo!